Restoran Chin Chin is raved selling one of the best Wanton Mee in Johor. 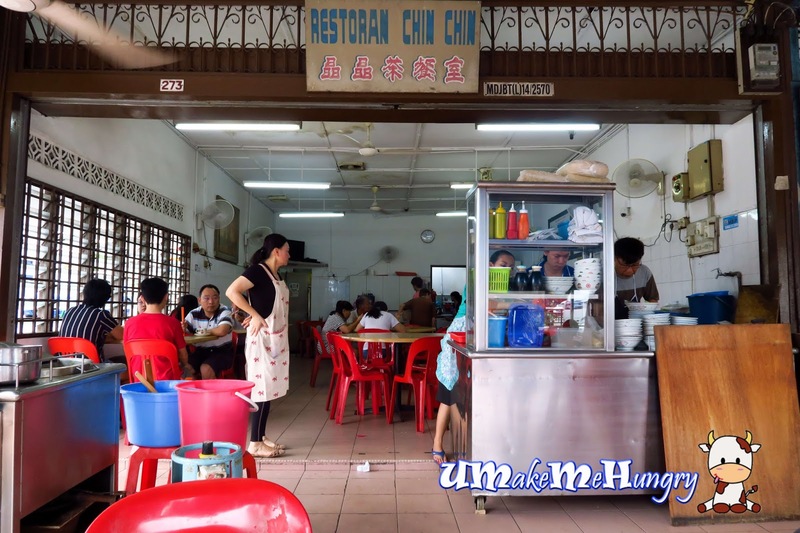 From the outlook of the Restoran, it looked nothing significant that they are selling Wanton Mee as there are no signboard hanging in the old school place. It was my second time visiting their place and coincidentally, both were during a wet weather and we saw them pouring hot water into the drain beside the eating place with steam evaporating. If you notice, you will get to see noodles in the open drains. There are only 2 dishes from the Restoran and they are Roasted Pork Wanton Mee and Chicken Feet Wanton Mee. The Char Siew over here was simple and tender. We did not expect the kind of sweet savoury roasted taste. 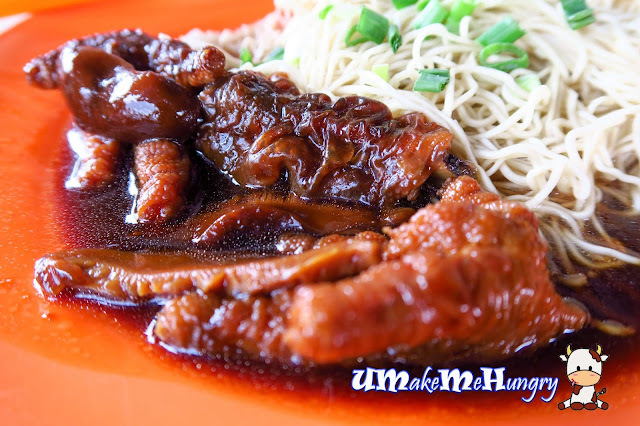 However it is quite tender and old school to mix in black sauce with onions and oil. The outstanding part of their dishes could be their noodles which were made of egg. The texture was abit rough but springy, lending a nostalgic feel. Even the chicken feet noodles, it was simple and down to earth dish. Braised chicken feet coupled with few thick slices of mushroom and I like the part that the braised sauce was not too salty and strike a good balance with black soy sauce. With the braised sauce pairing up with the noodles, it was pretty well executed. Wantons were served in a bowl of soup. These bite size Wantons are smooth and goes well with plain soup and vegetables. 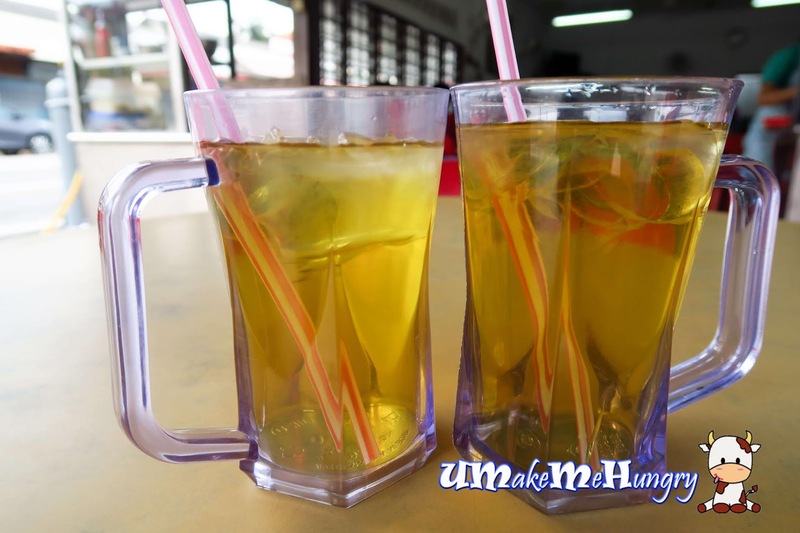 Why are they rated as one of the best in Johor? The egg noodle scores over here and only if you don't mind the simplicity and plainness of basic Wanton Noodles.